The shooting-down of a Malaysia Airlines jet on Thursday in Ukraine has added another volatile element to the economic sanctions the West has imposed on Russia for several months now in hopes of ending an insurgency by pro-Russian separatists in eastern Ukraine. President Barack Obama announced another round of sanctions on Wednesday, saying they were "significant but... also targeted, designed to have the maximum impact on Russia while limiting any spillover effects on American companies or those of our allies." 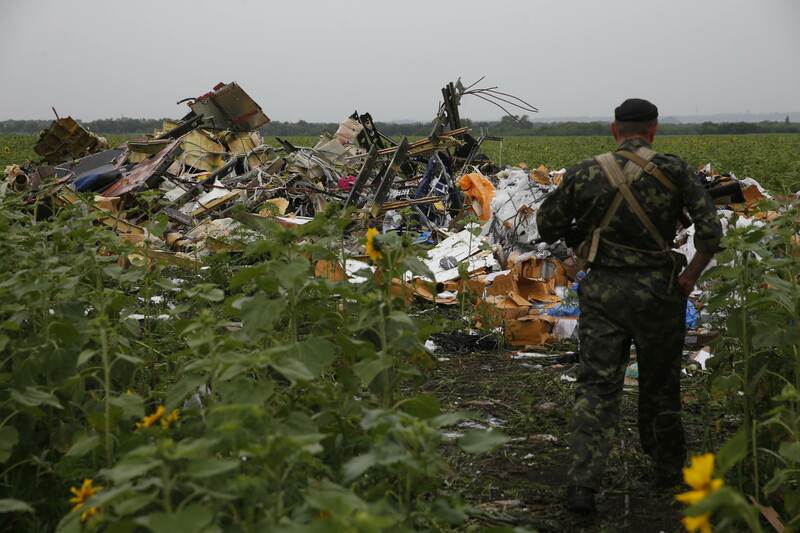 If Russian-backed separatists are found to be responsible for the attack on flight MH17, the U.S. is likely to apply additional measures aimed at the financial, energy and other industries in Russia, some experts believe. "[W]e believe that the harsher sector sanctions are now probable in September, though as in the past U.S. measures will be tougher than European Union steps," analysts with the Eurasia Group, a consulting firm, said in a report. "In sum, this crisis is deepening." Despite the targeted nature of the sanctions to date, European countries have been reluctant to wholeheartedly embrace them because Russia is a major export market for the European Union. The EU also relies on Russia for about one-fourth of its overall oil and gas supplies, and earlier this year it faced warnings from Moscow that the energy flowing to western Europe could be restricted or even turned off in retaliation for further economic sanctions. A big part of the problem, according to some analysts, is the eurozone's continuing economic weakness as it works to recover from its recent recession. The EU "can ill-afford to have a misstep in terms of their economic activity at a time when they're growing at such a timid pace," said Mark Luschini, chief investment strategist at broker-dealer Janney Montgomery Scott. "It would not take much to tip them back into a contractionary mode," he continued, "which they fought so hard and have seemingly broken out of. [That] would obviously create great anxieties across the eurozone and once again ignite concerns about their financial system." Any financial relapse by the EU would have a worldwide impact, including in the U.S, Luschini said. At the same time, Russia also finds itself in dire financial straits. Its economy has been stagnating for several years now, and even before the Ukraine crisis and ensuing western sanctions, Russia was seen as a poor bet for international investment. "Geopolitical influences on markets are usually fleeting, and the news yesterday will likely be, too, but the intensification of the conflict and increased amount of sanctions will further damage the Russian economy, which was already on its heels," said Peter Boockvar, chief market analyst with economic research firm The Lindsey Group. These factors have also been a catalyst for Russia to search out ways to diversify its economically essential energy market. This past May Moscow signed a 30-year agreement, reportedly worth $400 billion, with China to supply the People's Republic with Russian gas via a route through Siberia. But that pipeline is still years away from reality. For its part, the EU is seeking to reduce its energy dependence on Russia, perhaps through regional fracking operations or oil and gas exports from North America. "Developments in Ukraine and Russia have demonstrated that the EU's priority is to diversify its energy sources," Sabine Berger, a spokesperson for the EU Energy Commissioner's office, told The Associated Press earlier this month. For now, Luschini said, investors need to closely monitor the ongoing crisis, digest the information and avoid any knee-jerk decisions. "The market has a tendency to sell first and ask questions later," he said.